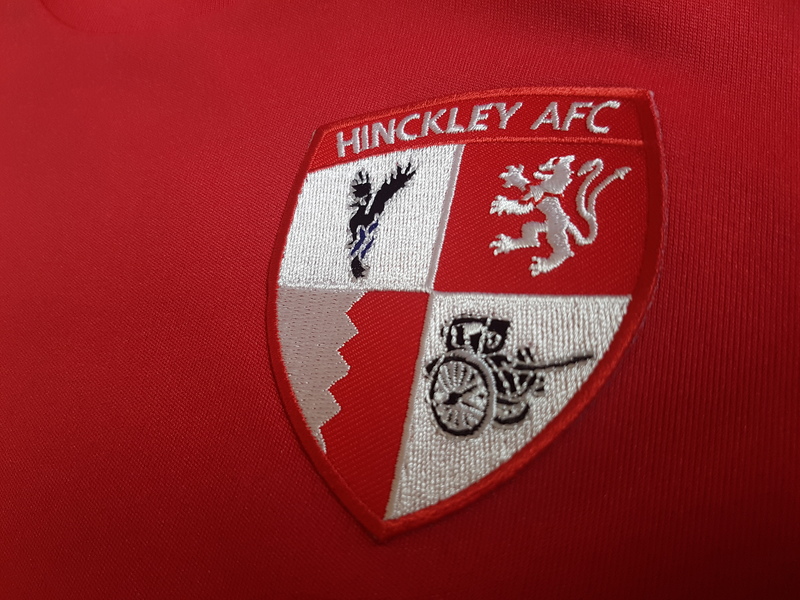 Hinckley AFC suffered their first defeat of 2019 as they were edged out of a tight game 1-0 by Leicester Road. In what was a largely even game throughout with real chances at a premium, the only difference between the sides was Matt Langham’s goal on the hour. And though they pushed, Hinckley couldn’t find a leveller as the home side completed a first ever double over AFC. Boosted by the signing of Grant Ryan, the striker came straight back into the starting line-up after returning on loan from AFC Mansfield. 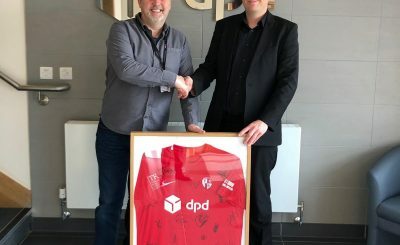 David Jones and Dan Mullarkey also returned. And while the home side shaded the possession, Hinckley had the better of the limited chances during the first half. Will Highland was the busier of the goalkeepers as Yinka Adebowale didn’t have to make a save of note before the break. 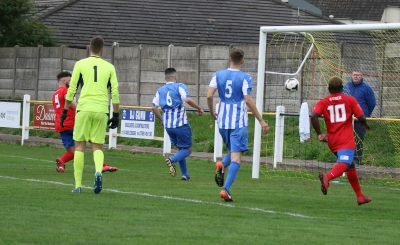 Just two minutes had passed when Hinckey came close first – Ryan seeing an initial shot blocked, before the rebound fell back to the striker who saw his shot saved by home ‘keeper Highland. 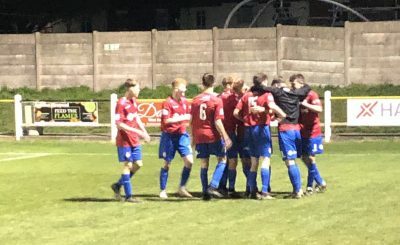 A couple of minutes later, as Hinckley sought an early goal, Highland was called to deny Ryan again after Sam Belcher’s shot was deflected to his feet. The home side’s only real sight of goal before the break fell to Dominic Brennan as he fired wide of Adebowale’s goal. That came before Hinckley’s final chance of the half, when Louis Hamilton’s free kick was meekly punched only as far as Belcher, who struck over. But in truth, neither side really threatened to break the deadlock before half time. 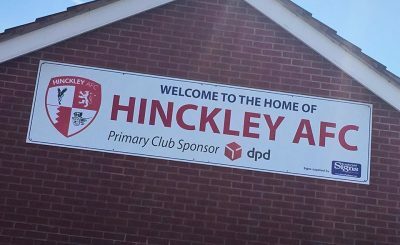 Indeed, it was the opening 20 minutes of the second half that cost Hinckley the game, the only spell where they allowed their hosts to gain an ascendancy. Adebowale made his first save of note when he denied Langham ten minutes into the half, before it was Langham again who made the breakthrough just after the hour when he was allowed too much space to fire across Adebowale and into the far corner. 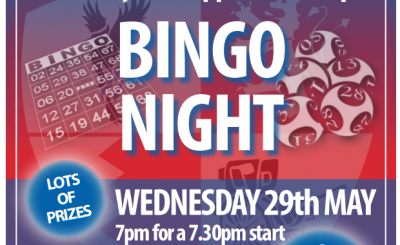 It left Hinckley chasing the game, but chase it they did – and they had the best chance to level 11 minutes later. Jason Lee’s good work down the left created a chance that Ryan usually would have buried. Perhaps, though, his recent lack of minutes was evident as his usual clinical edge deserted him and he couldn’t hit the target. Nuno Gomes blasted over at the other end as the tight game started to open up, before Ryan’s next shot was easily held by Highland. 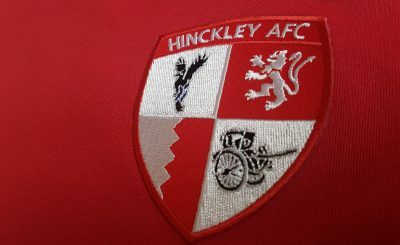 And John Ramshaw’s men couldn’t fashion any further chances as the home side came closest to a second, taking advantage of Hinckley’s commital to find a leveller. Liam Read and Gomes both had sights of goal that didn’t test Adebowale – but it didn’t matter as they held on for the win.